The legislation would require packages shipped into the United States from foreign postal services and through the US Postal Service to provide advanced electronic data, which includes who is sending the package, where they are sending it from, who it’s being sent to, and what the package contains. “We have a heroin and prescription drug epidemic in our country, and this crisis is being made worse by an influx of deadly synthetic drugs coming into our states from places like China and India,” Portman said in a statement. He previously told STAT in an interview that the bill would be a focus for him in the coming year. Ohio is one of the states hardest hit by the opioid crisis and synthetic opioids have wreaked havoc there. President Donald Trump has also endorsed cracking down on international shipments that bring illicit drugs into the country as one way to address the opioid epidemic, which has been exacerbated by powerful synthetic opioids such as fentanyl and carfentanil that were manufactured overseas and then brought into the United States. Backers of the bill point out that private shippers, such as FedEx and UPS, already provide the advanced data on their packagers, but public carriers, such as foreign and US postal services, do not for the vast majority of mail coming into the United States. The proposal is supported by a coalition that includes FedEx and UPS, as well as drug companies, addiction recovery groups, and the US Chamber of Commerce. 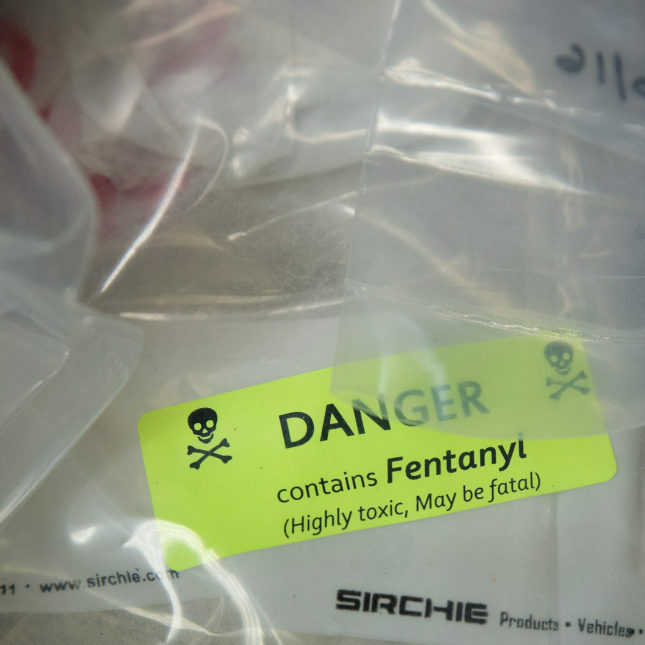 Local law enforcement officials have told reporters that they believe the synthetic opioids are coming to the country after being purchased online and then shipped through the US Postal Service. Then-Secretary of Homeland Security Jeh Johnson told Congress in a letter last year that an estimated 340 million parcels entered the country in one year without advanced electronic data, though he did note they were required to have paper custom forms. The offices of the senators supporting the bill noted that, given the volume of mail, custom officials could not manually scan at the border all of the packages entering the country. Having the advanced electronic data, they say, would better equip customs and border officials to target packages that could contain illicit drugs.